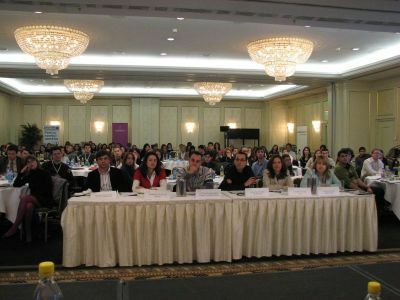 In 2007, together with Cristian Manafu’s Evensys team, I was in charge of creating a marketing communications conference from scratch, including event’s concept, brand identity and most importantly, the list of speakers. 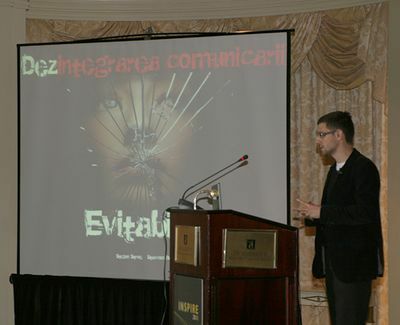 For this event, I proposed and host a battle of ideas between Romanian creative directors, calledMarketing Arena. The project has been great, and we’ve managed to bring experienced and inspiring professionals at the event, including global renowned specialists in marketing communications, media and business strategy. The top guests were Mark Earls (aka the HERDmeister, author and world-leading strategist) and my colleague from London Richard Hartell (Strategic Development Director, Starcom Mediavest Group EMEA). The other great speakers were Nikki Hillier (Artistic Director, ELLE prêt-à-porter), Magnus Brehmer (Marketing Specialist, Inter IKEA Systems), Daniela Knecht (Deputy Managing Director, Client Service and Business Development, McCann Erickson Romania) and Miguel Brito Goncalves (Executive Creative Director, Advertising), together with the local practitioners Mihai Simiuc (founder Fru Fru) and myself (Strategic Planning Director, Starcom). 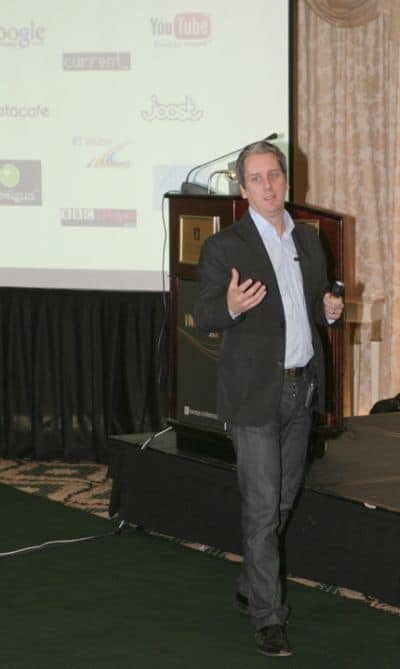 Over two days, we’ve had more than 300 industry professionals attending the event. Besides Mark Earls’ conference, the other highlight of the event was Marketing Arena idea battle, the one-time event where top 10 Romanian advertising creatives shared each an innovative communication idea that had to impress both a marketing professionals jury and the audience. Ema Prisca, creative director of the Graffiti has won the event by proposing the development of trailers to promote books as movie producers do, but with a production budget tailored for the Romanian market. Together with The Battle of Big Thinking attended in London, Marketing Arena was probably the most entertaining and inspiring event I’ve attended throughout the years and I am extremely proud that I’ve joined Inspire 2008 event’s loop team. Next ArticleCrowdfunded failures: Who protects backers?